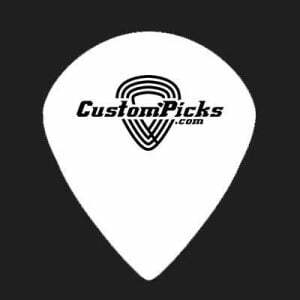 Once you have created your custom jazz picks, add it to the shopping cart. Then, select your shipping address and the kind of postage you prefer. Select your payment methods: we accept major Credit Cards like Visa and Mastercard, PayPal but also the old cash-on-delivery method. Your order is placed and you will receive a confirmation email within a few minutes, including your invoice. You will also be notified when the shipping is ready to leave The Netherlands and you will be provided with a tracking number, to make sure you know when your custom picks arrive. Please check our delivery time in the FAQ or if you have a deadline, please contact us first. But there is more. 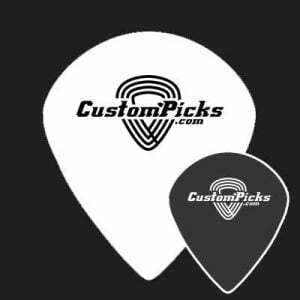 CustomPicks offers free shipping for order of $ 70 or more, so don’t hesitate to order. Please check all our jazz picks below and select the amount of sided you want.